Midwest Express Clinic offers family care, injury and extensive care and a variety of other services at six suburban locations in Illinois and Indiana. 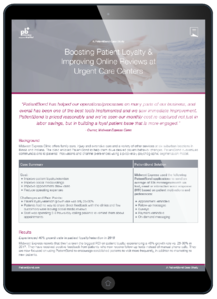 The clinic enlisted PatientBond to help them drive desired patient behavior changes. PatientBond customizes communications to patients’ motivations and channel preferences using a proprietary psychographic segmentation model.